This newsletter was originally published on July 21, 2017. Michigan’s two largest utilities this week unveiled community-based revitalization projects in Grand Rapids and Detroit. In west Michigan, Consumers Energy is partnering with Michigan EIBC member Rockford Construction to launch a new energy district entitled “Circuit West.” The ten-block district on the west side of Grand Rapids will test and deploy advanced energy for local businesses and residents. According to the project developers, Circuit West will create a first-of-its-kind solar-plus-storage community, drawing solar energy from the rooftop of a nearly 40,000 square-foot Meijer store. The development will also have electric vehicle charging stations and greater bandwidth for advanced communications and internet service. While the timeline for the Circuit West project has not been announced, Rockford has been leading the redevelopment of the area, including an outpost of Holland-based New Holland Brewing. The area houses Rockford’s LEED Platinum office, as well as the office of Michigan EIBC member Catalyst Partners (which received the highest-ever score for LEED for New Construction), and sits within the boundaries of the Grand Rapids 2030 District. On the other side of the state, DTE Energy and the City of Detroit unveiled Beacon Park. DTE began working on the outdoor entertainment hub back in 2008, purchasing land to preserve the green space. The park boasts interactive light installations and an “[infusion] of light, energy and motion” that creates a unique experience for visitors. To that end, the park will be home to a Belgian-inspired restaurant called Lumen. Beacon Park is expected to be a place for music, family activities, food trucks and vendors, and outdoor recreation, and DTE’s goal is for the park to draw urban revitalization to the area northwest of downtown. The grand opening is being kicked off with a free festival this weekend. A draft Department of Energy study on grid reliability finds no evidence that advanced energy resources threaten reliability, and that energy efficiency, battery storage and demand response efforts actually improve the reliability of the grid. The draft study further found that the lower demand for and cost of natural gas has been the driving force behind coal and nuclear closures – not increased emphasis on advanced energy. Energy Secretary Perry originally commissioned the study out of expressed concern that efforts to accelerate advanced energy have come at the expense of coal and nuclear energy, and that wind and solar resources pose a threat to grid reliability. The final report is expected to be released soon. CLEAResult’s paper shows how four states including Michigan innovated to improve their regulatory systems and give utilities meaningful financial incentives to motivate their customers to use less energy. According to CLEAResult’s study, Michigan has found unique ways to align utilities’ and customers’ interests to ultimately expand energy efficiency offerings and lower costs, while at the same time increasing shareholder value and earned returns. 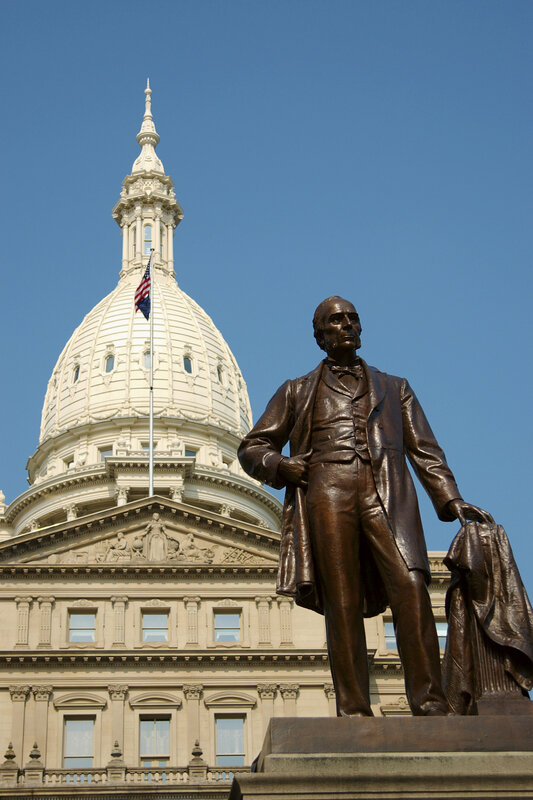 The paper highlighted Michigan’s new energy legislation, which includes both an energy efficiency goal and enhanced incentives, as well as introduces an integrated resource planning process. The Michigan South Central Power Agency will need to find between 63.9 and 128.4 MW of power to meet the increasing needs of customers by 2021, following the closure of the coal-fired Endicott plant in Lichfield. A mystery energy project in Shiawassee County has drawn attention from locals. According to Michigan Public Service Commission Chairman Sally Talberg, utility communication with customers during outages could still use some improvement after storms knocked out power to as many 159,000 people last week. The MPSC has received its first certificate of necessity request from a utility seeking approval of new electric generating resources since a last year’s rewrite of state energy laws: DTE Electric Company submitted a filing announcement at the end of June, with plans to build a 1,100 MW natural gas combined cycle generating facility or buy that capacity from other providers. Michigan’s low-income energy assistance surcharge has been set at 93 cents per month. A solar array project being developed by Michigan EIBC member Inovateus Solar is taking shape on MSU’s campus. A Huron County planner wanted wind developers’ promises in writing, despite concerns from fellow planners that the request could pose a legal threat to the commission. 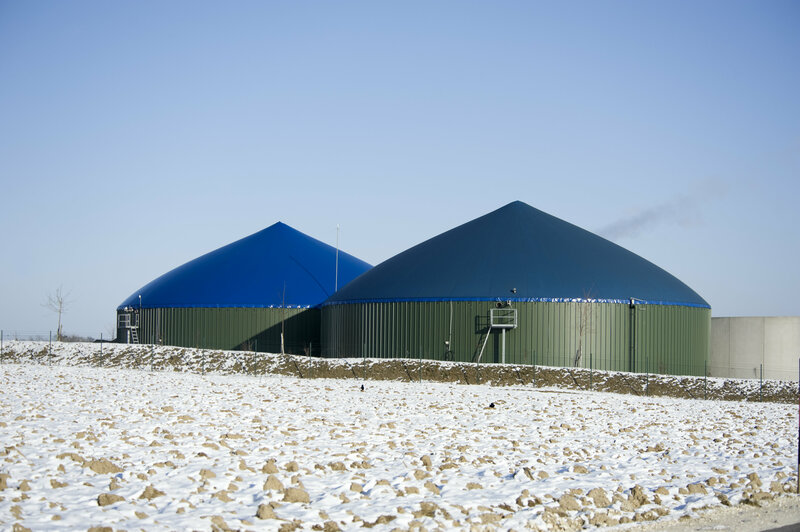 Grand Rapids hired Michigan company Tetra Tech to design a $30M biodigester. The EPA vehicle emissions lab in Ann Arbor received high marks for cost cutting. President Trump nominated energy lawyer Kevin McIntyre to chair the five-member Federal Energy Regulatory Commission, which currently has only one commissioner. The Senate will vote on the Trump administration’s nominees to the EPA and Nuclear Regulatory Commission. Energy Department Secretary Rick Perry discussed trade relations and cross-border electricity transmission with Mexican officials as part of a discussion on North American energy strategy. House appropriators diverged from the President’s proposed budget to minimize cuts to the Interior Department and the EPA as part of the energy and water appropriations bill. The House will vote on a fiscal 2018 spending bill for the Energy Department and the Army Corps of Engineers’ energy and water budget. Critics raised claims that US mayors’ support for the Paris Climate Agreement could be read as unconstitutional. AEP Ohio selected Michigan-based Powerley’s home energy management solution for its 1.5 million customers. Powerley’s system allows customers to control multiple devices through smartphone apps. A new study by the University of Minnesota says adding more storage to the state’s grid would reduce the need for building new natural gas plants and accelerate the development of renewables. A new study gives Chicago high marks for energy efficiency. A recent analysis states that the eclipse next month could knock out over 9,000 megawatts of solar power. Advocates say that a provision in North Carolina’s energy bill could create an opportunity for the state’s largest utility to cut net-metering rates. Duke Energy Ohio and Kentucky says the timing is right for utility-owned solar. An Indiana city is embarking on a $5.4 million project to power its city buildings, street lights and traffic signals with solar. Researchers at Case Western Reserve University in Ohio have been awarded a $1.47 million federal grant to test new high-output solar panels. SolarWorld Americas received a $6 million loan as it continues to fight for solar tariffs alongside Suniva. The Energy Department awarded over $46 million in research grants to 48 projects working to improve solar energy technologies. The Energy Department will start including output from residential solar systems in its monthly forecasts. Observers say solar job opportunities in Wisconsin are on the rise. Shrinking cash incentives for solar in Oregon will likely coincide with the expiration of a $6,000 residential solar tax credit. A Wisconsin school district plans to save about $3,000 a year in energy costs after installing solar panels at one of its schools. According to the Energy Information Administration, wind surpassed coal’s energy capacity factor in April. Wyoming’s wind industry is thriving, to the point that there is a labor shortage. A new report says wind energy is helping keep energy costs low in Iowa. Along with Illinois and Wisconsin, Iowa has some of the lowest monthly energy costs in the U.S. According to Appalachian Power, their plans to acquire two wind farms will benefit the company because of tax credits and a reduced reliance on outside energy purchases. A Nebraska city has plans to buy 16.1 megawatts of energy from a nearby wind project that will be running soon. A biofuels research center at the University of Wisconsin-Madison plans to shift its focus from ethanol to other forms of biofuels after receiving new grant funding from the U.S. Department of Energy. The Energy Information Administration predicts coal will be the top source for the country’s power generation in 2017, but just barely. The Trump administration wants UN funding for nations affected by climate change to be used instead to promote the construction of coal-fired power plants. A federal judge dismissed challenges to Illinois’ zero-emission credit program brought by independent power producers. Duke Energy’s $3.5 billion Edwardsport power plant in Indiana that converts coal into combustible synthetic gas remains plagued by outages and repairs. A proposal to fine the owners of coal and oil trains that travel through downtown Spokane, Washington, will likely be voted on in November. New filings by oil and gas companies have contributed to a record number of bankruptcies in Texas this year. President Trump told a crowd that the U.S. gained 45,000 mining jobs. However there’s only evidence that 800 coal mining jobs have been created since he took office. NRG Energy Inc.’s shares surged 29% following the announcement of a company move away from advanced energy. Businesses are contacting Minnesota officials with suggestions on how to spend $47 million in Volkswagen settlement funds the state will receive to reduce air emissions. Drivers anticipate the release of Tesla’s Model 3, but the company still faces challenges as it moves into mass production. Advocates are trying to convince Georgia lawmakers to reinstate a tax credit for the purchase of electric vehicles. Oil producers and researchers are forecasting the dramatic adoption of electric vehicles due to falling battery costs, but automakers are less optimistic. Automakers, regulators, legislators and utilities are working together on various incentives to boost sales of electric vehicles. The MPSC will be holding its first Performance Based Regulation (PBR) stakeholders discussion meeting on July 24th from 2:00-5:00 pm at the Lake Michigan Hearing room at the MPSC office at 7109 W. Saginaw, Lansing, MI 48917. Section 6u of PA 341 directs the Commission to complete a study of PBR and submit it to the Governor and Legislators by April 20, 2018. The legislative language references collaboration with stakeholders for this study. The MPSC is requesting input from Michigan utilities as well as other interested parties regarding PBR. Please RSVP to hudsonp1@michigan.gov. The MPSC will host a technical conference on the future of electric vehicle charging on August 9 at the public service commission office, 7109 W. Saginaw Highway, Lansing. Subject matter experts interested in participating in a panel are asked to submit a letter of interest, resume and summary of expertise to Al Freeman at the commission offices or by e-mail to freemana5@michigan.gov. 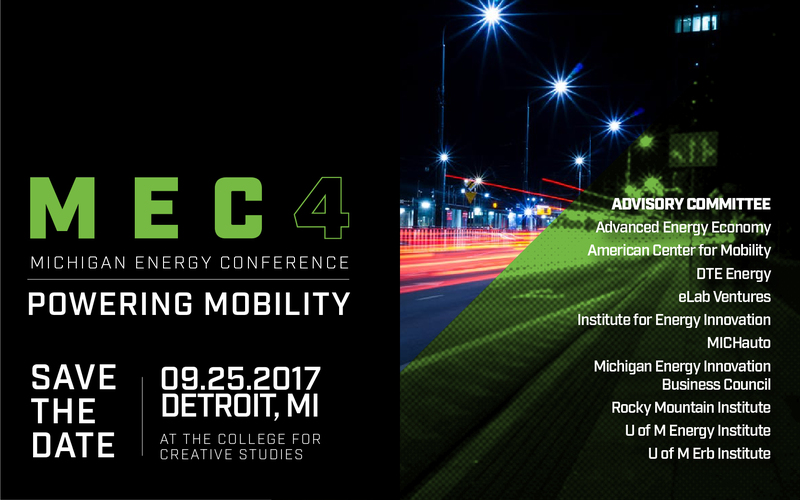 SAVE THE DATE: The Powering Mobility conference will take place on September 25 at the College for Creative Studies in Detroit. The event, which is the 4th Annual Michigan Energy Future Conference, will bring together leaders from industry, government, utilities, finance, and academe working at the nexus of advanced mobility and vehicle electrification. The 1st Annual Sustainable Detroit Forum is scheduled for October 25. The event will consist of interactive learning, keynotes, and short presentations. Proposals for presentations will be accepted for Sustainable Projects, Personal Green Stories, and Lessons Learned/Greatest Failures. Energy Storage North America will take place August 8-10 in San Diego. As the largest conference and expo for grid-connected energy storage in North America, Energy Storage North America brings together utilities, regulators, municipal leaders, project developers, investors, systems integrators, and commercial and industrial customers for top-tier networking and information sharing. EUCI is hosting “Addressing Process and Technical Issues for Renewable and Distributed Energy Resources” August 14-15 in Chicago. The conference will serve as a forum for all entities involved in the interconnection process to review process and technical issues for interconnecting grid-scale renewable energy and Distributed Energy Resource (DER) projects. Panel sessions will feature the perspectives of distribution, developers, utilities, and system operators to share their expertise and discuss best practices for optimizing the interconnection process. Register here. Solar Power International will take place September 10-13 in Las Vegas. Powered by the Solar Energy Industries Association and the Smart Electric Power Alliance, SPI is the largest and fastest growing solar show in North America. Renewable Energy Grid Operations: Integration, Forecasting, Modeling, Planning and Curtailment, hosted by EUCI, is scheduled for September 11-12 in Austin, Texas. This conference will evaluate the biggest challenges to renewable energy integration, and identify solutions and pathways that coordinate responses and overcome these challenges. Case studies from experts and industry professionals from around the country will share their experiences and lessons learned on renewable integration. Register here. Join SEIA and Smart Electric Power Alliance for Solar Power Midwest in Chicago, October 19-20. The event features multiple networking and educational opportunities with a targeted, buying audience. Register here. A website from the Michigan Public Service Commission provides details on updates to state energy laws. For more information, or to sign up for notifications, visit www.michigan.gov/energylegislation. World Resources Institute recently published an Implementation Guide for Utilities, outlining best practices in designing renewable energy projects to meet large energy customers’ needs. The Michigan Energy Office is offering rebates to eligible applicants to upgrade existing public streetlights with LED lights through the Exterior LED Lighting Rebate Program. The purpose of this program is to encourage energy waste reduction and promote community vitality by accelerating the transition to energy efficient LED lighting. MEO will match utility rebates up to $0.35/W reduced. Applicants with no utility rebate will be awarded at a rate of $0.35/W reduced. For more information or to apply, click here.